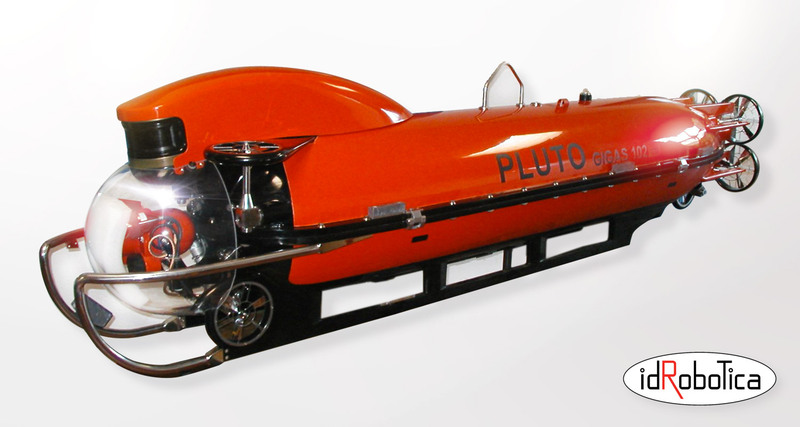 PLUTO GIGAS is the heavier Idrobotica ROV (Remotely Operated Vehicle) having a primary use as a heavy duty MINE IDENTIFICATION and MINE DISPOSAL, in prohibitive conditions. PLUTO GIGAS is capable of countermining missions in prohibitive current and lack of visibility conditions. A smart combination of high power high speed vehicle with the smallest communication cable and special to purpose imaging sonar make PLUTO GIGAS the top minehunting vehicle. 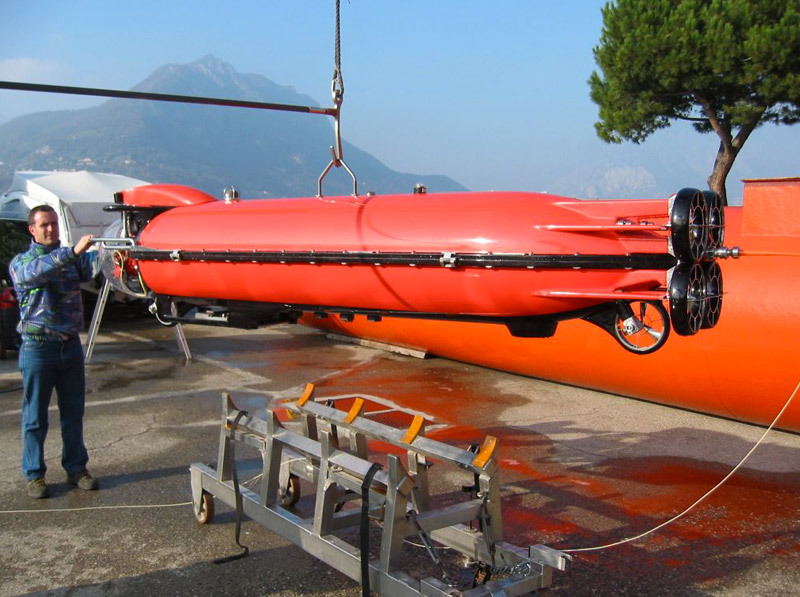 Ideal complement of the most modern and advanced Mine Countermeasures Vessels (MCMV). Autonomous preprogrammed missions, allowing the pilot to take up manual control at any time if required. Extreme performance: missions in 5 knots current, zero visibility, 600 m depth.